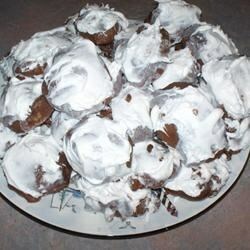 My mother used to make these cookies, they are my all time favorite. She usually frosted them with a white icing. I made them for my children but they usually didn’t last long enough to get frosted. Now I make them for my 14 month old granddaughter. They are so soft and so good! I usually double the recipe.